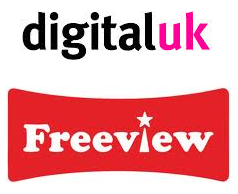 Terrestrial television platform operator Digital UK has confirmed that it will soon publish its proposals for developing the HD genre in the Freeview channel line up. It follows yesterday's announcement from the BBC that it would be launching five HD channels on Freeview HD from early 2014. The proposals from Digital UK follow an industry-wide consultation earlier this year and are in preparation for next year's HD channel launches. Currently, HD channels are allocated channels 101-120 in the Freeview Electronic Programme Guide (EPG), following a consultation last year which resulted in the HD channels moving from channels 50-54. No channel number changes to existing services are planned, but the proposals are likely to address issues such as how HD channel numbers are allocated in the future, whether or not it will be on a first-come, first-served basis or whether public service broadcasters will get priority. At the same time, Digital UK is also expected to confirm if it will permit HD/SD channel swaps or not. Meanwhile, the platform operator also confirmed that it had submitted responses to Ofcom over proposals to release more frequencies for mobile broadband (so-called 700 MHz clearance). Digital UK stated: "Digital UK’s submission has been delivered on behalf of the BBC, ITV, Channel 4 and Arqiva. Both responses emphasise the importance of digital terrestrial TV (DTT), which is currently used in more than three-quarters of UK homes. They also state that any future clearance of airwaves should involve minimum disruption to viewers, who would need to be fully supported if new equipment is required to maintain existing services." There's been no further development on the Nickelodeon story since it was originally published in industry magazine Broadcast. However, there will be some news about Film 4+1 on Freeview fairly soon.